The Wilson Chronicles: Book 2: Lightspeed! How did we get to the stars? What provided the lever that catapulted us into the galaxy? Who were those people, those visionaries and pioneers? 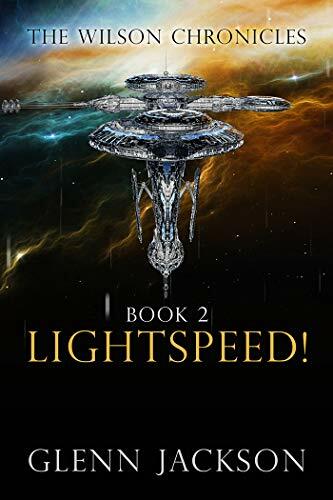 The Wilson Chronicles continues with the second book, Lightspeed!, bringing new discoveries of heart, mind, and technology to the challenge of getting to the stars. This continues the story of the heartache, passion, joy, romance, fighting, pain, loss, and challenge of creating the future. Heather and Jeffrey, now married, continue the journey to the future while embracing new challenges in their life. Stephanie remains a key character; however, this book takes Erica on a journey to leadership, and introduces Gabby, who through finding unexpected love in her life, discovers her feelings are at least as important as her intelligence. How did we get to the stars? What provided the lever that catapulted us into the galaxy? Who were those people, those visionaries and pioneers? What was their story? 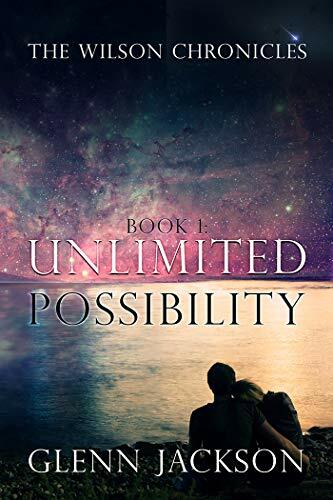 The Wilson Chronicles begins with the first book, Unlimited Possibility. This is the story of Stephanie, Heather, and Jeffrey. These three, from very different walks of life, are thrown together to form the core of the adventures, loves, losses, joys, pains, and ultimately the foundation of the journey into the galaxy. Stephanie and Heather, who lost their parents at an early age and came from very different backgrounds – one a bodyguard and one a movie star; Jeffrey who lost and found the love of his life while living the challenges of the richest person in history; their battles with terror; their joy at finding new love and the hope, wonder and awe of the possibilities that exist. This is their story.